How to use Throws creatively! On a dark, gloomy winter day what could be more of a pick me up than adding a splash of colour to a design scheme? Strong colours such as purple, magenta and red give an instant lift to the senses, making a statement in a neutral space and can be introduced in an instant in the form of a throw. These really useful home accessories are both practical and versatile. With such a wide range of styles and colours available to buy, there is something for every taste and every pocket. 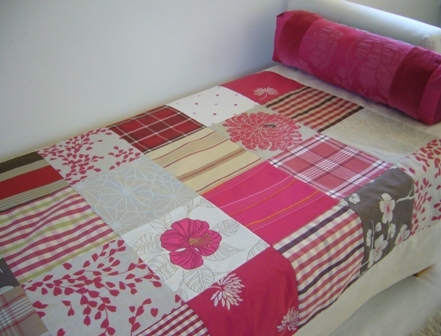 Throws come in different styles, textures and colours. Something for everyone! 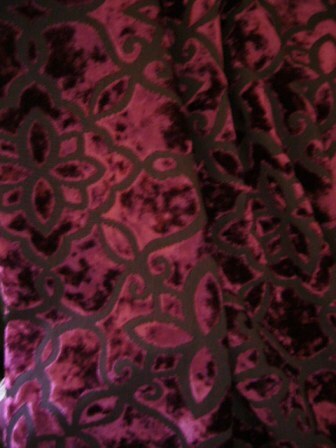 Luxurious velvets and wools are fabulous for the winter season. Not only can these sensous textiles enhance a room visually, they also introduce a feeling of softness and intimacy, particularly in a bedroom. 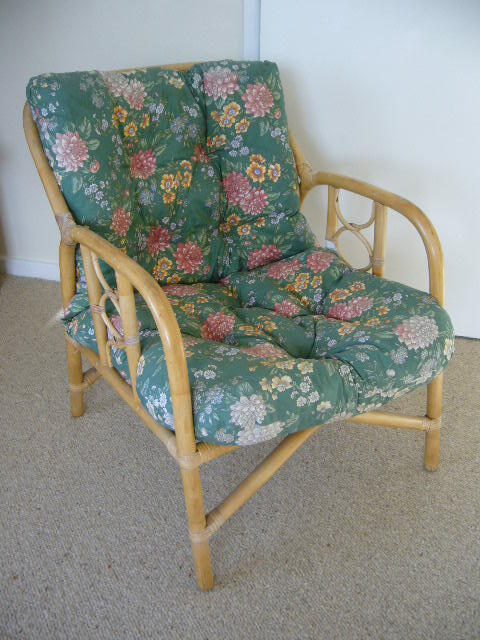 Got a chair that is looking a little tired or which no longer matches your design scheme? Transform the look of a room in an instant. 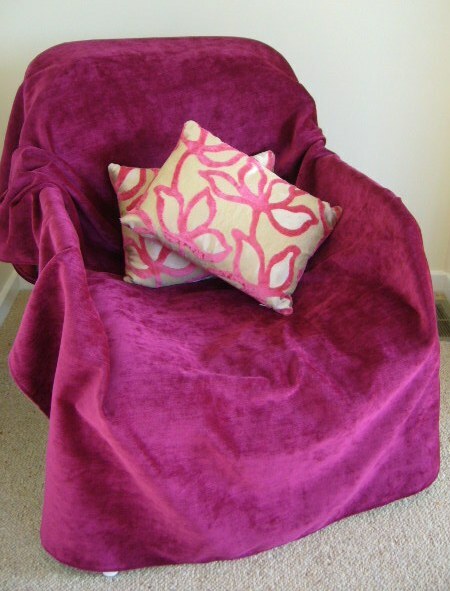 For a fraction of the cost of a new chair a throw can create stunning and amazing feel good effects in seconds. Or maybe you prefer the Shabby Chic look? And throws are so versatile. In the warmer seasons of the year a heavy weight throw can be stored away and cooler shades can be given precedence once more, so your home environment adapts with the seasons. In the Spring and Summer, choosing a throw in a lighter cooler texture such as cotton or linen and in pastel or natural tones brings a fresher feel to the room and reflects light adding to the cooling, envigorating sensation. 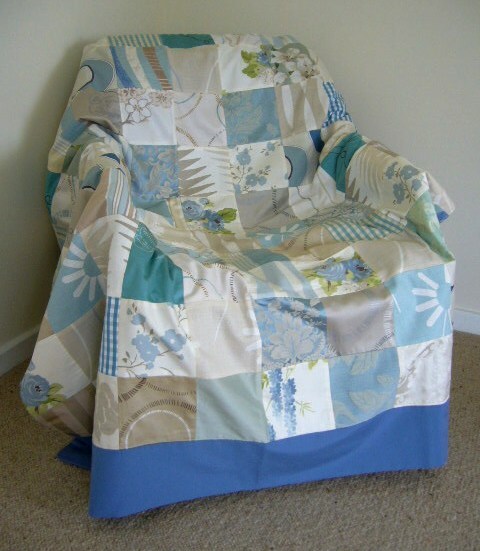 Or to get the look on a budget, why not take a look in some charity shops and see if you can find some old curtains. If the fabric is still in good condition and you can wash them you can edge one in a contrasting colour or sew two right sides together and then turn them out so you have a backed throw. 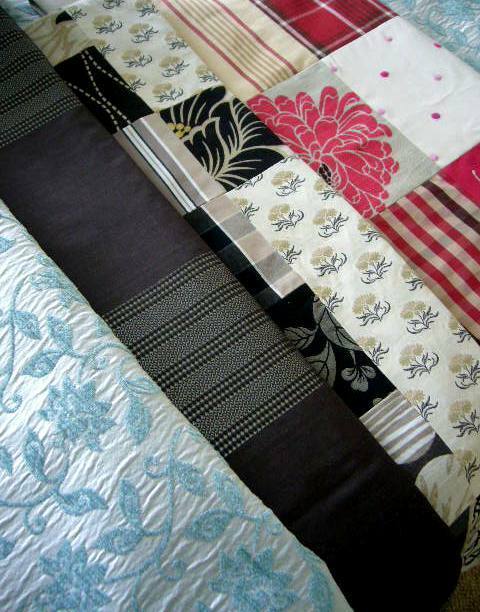 Or buy several pieces of fabric and make your own patchwork on a long winter’s evening? Have fun!